This post explains how to configure Raspberry Pi for headless mode (with no monitor and keyboard/mouse of its own). RASPBIAN JESSIE WITH PIXEL - Full image which includes a new desktop environment called PIXEL (Pi Improved Xwindows Environment Lightweight) and many pre-installed applications. Let’s use minimal version RASPBIAN JESSIE LITE. Download and extract it. 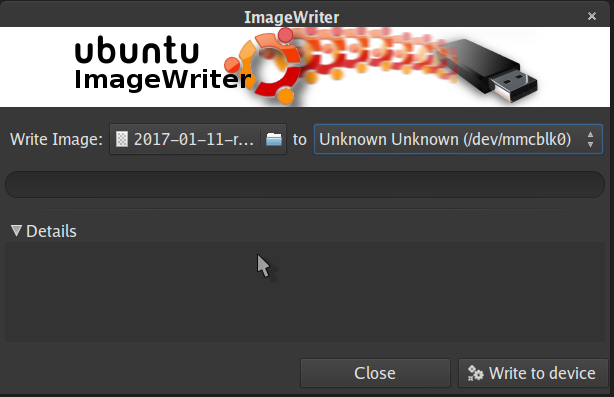 Insert SD/microSD into computer using USB Card reader or SD card slot and burn Raspbian Lite image using ImageWriter. After successful completion Raspbian should be ready to use. We’ve already enabled SSH and WiFi on Raspbian so that we can access it remotely from computer. 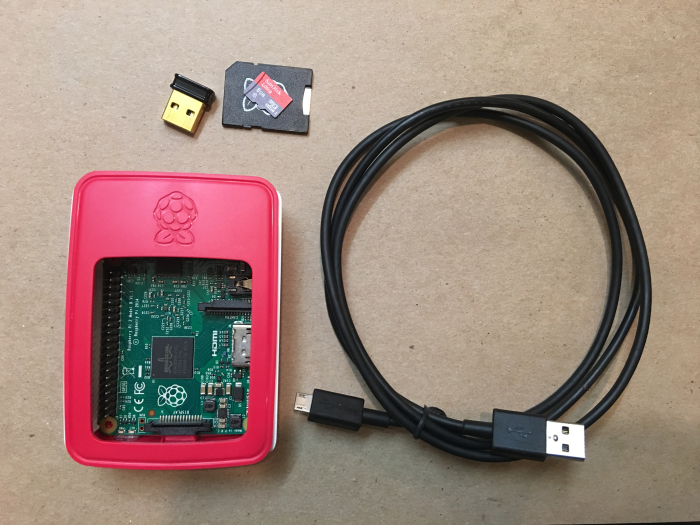 Insert SD/microSD card in Raspberry Pi. Make sure WiFi adapter is plugged in (not required for Raspberry Pi 3) and plug the power cable. While booting up, it’ll connect to your local network over WiFi with given credentials in previous step. After entering password succesfully it will land you in Raspberry Pi. Let’s update it. That’s it. 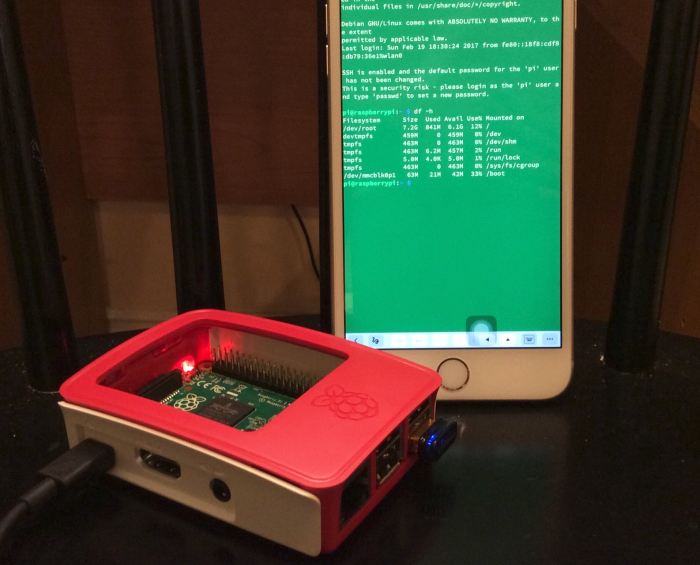 You can now access your RPi with any device having a utility to SSH. Here’s my RPi with phone as head. In case you are not able ssh using raspberrypi.local, find Pi’s IP address and use it instead. Check here. Use raspi-config - Raspberry Pi configuration tool in Raspbian that allows you to easily enable features such as the camera, and change your specific settings such as keyboard layout. Setup Watchdog which automatically restarts RPi if it becomes unresponsive - helpful to make your projects more reliable. Install Fail2ban which bans IPs that show the malicious signs of incorrect authentications attempts.